Thanks for a great IBC show! 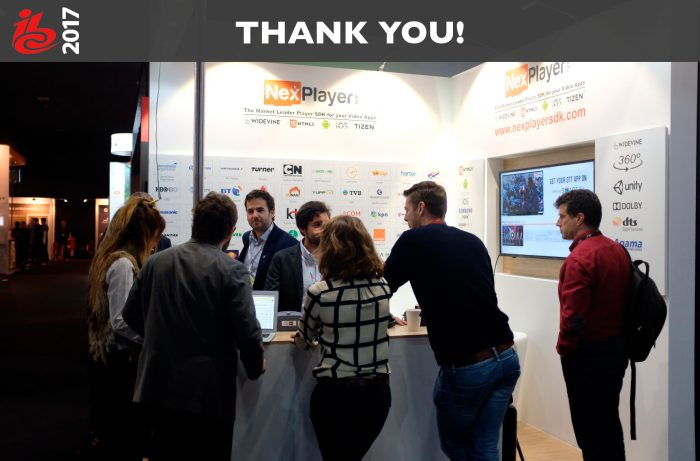 Thank you to all our partners for a great IBC Show once again! This year, our focus was in our HTML5, Tizen and Widevine DRM players. After 5 days of meetings, events and conferences, we are looking forward to seeing you again next year!